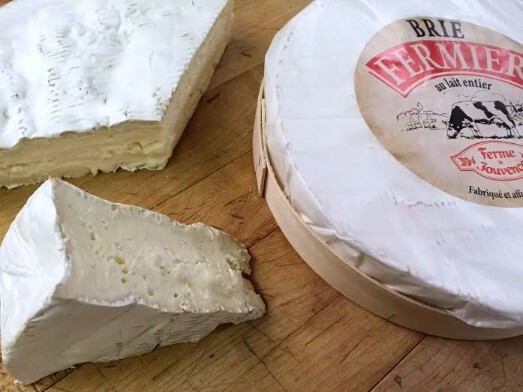 Often imitated, but never duplicated, brie is easily the most recognizable French cheese on this side of the pond. The majority of “brie” consumed in the US is a cheap, heavily processed industrial product. The curd is stabilized, to prevent the cheese from ripening during extended transit times. The resulting cheese will be just as ripe from the moment it is packed, to when it is consumed some months later. To expedite the lengthy process of ripening, the bloomy rinds are sprayed on, rather than being allowed to develop naturally. Traditional Brie de Meaux takes six to eight weeks to mature, whereas the industrial versions are ready to ship in less than two weeks. By adulterating the natural aging process, the resulting product is bland and rubbery. To make up for the lack of flavor, producers will increase the level of salt, or add other flavors to the mix. Garlic-dill brie anyone? Eesh, no thank you. In a world of mediocre brie, we’ve got the good stuff. Ferme de la Tremblaye is a sustainable farmstead dairy and cheese producer about twenty-five miles southwest of Paris. 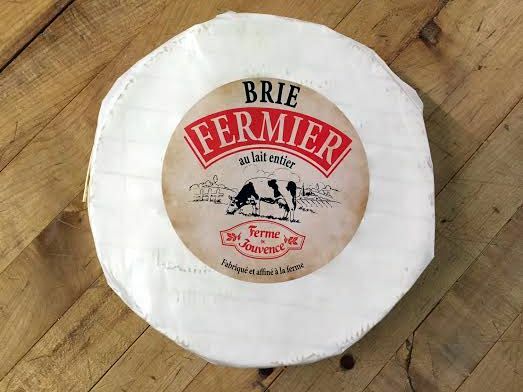 While the word “fermier” typically designates that a French cheese is farmstead and therefore made with unpasteurized milk, these wheels are pasteurized in order to comply with FDA regulations. However, pasteurization is the only aspect of the production that is nontraditional, the curd is still hand sliced and delicately ladled into forms, using fresh, whole milk exclusively from the farm’s herd of 145 milking cows. Since 2012 the farm is also self-sufficient, harnessing all of the energy used on the farm and in their home from Bio-gas produced through the anaerobic breakdown of methane. Tremblaye’s bries are 1kg (2.2lbs) wheels which are much easier to handle than the traditional 3kg (6.6lb) wheels of AOC Brie de Meaux. The rind is pleasantly mushroomy and gives way to a melt-in-your-mouth paste that is fresh and lactic with notes of sweet cream and garlic. 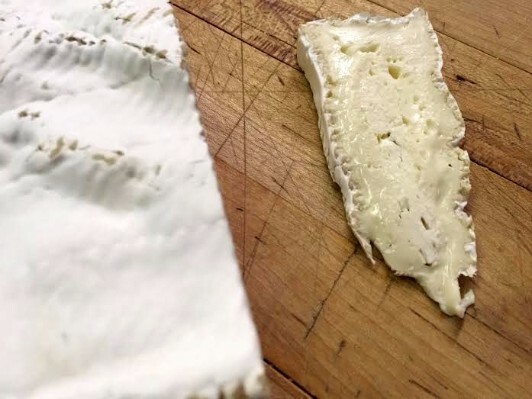 We fly these cheeses in every two weeks, so you’ll see a thick line of fresh paste through the center which is rare for imported bries by the time they reach us in the flyover states.